An Arizona woman was charged with child abuse after police say she forced her boyfriend’s 3-year-old daughter to eat her own feces. Police say Nicole Candelaria, 27, held down the 3-year-old and forced her to consume excrement as punishment for defecating in the bathtub, according to ABC 7. 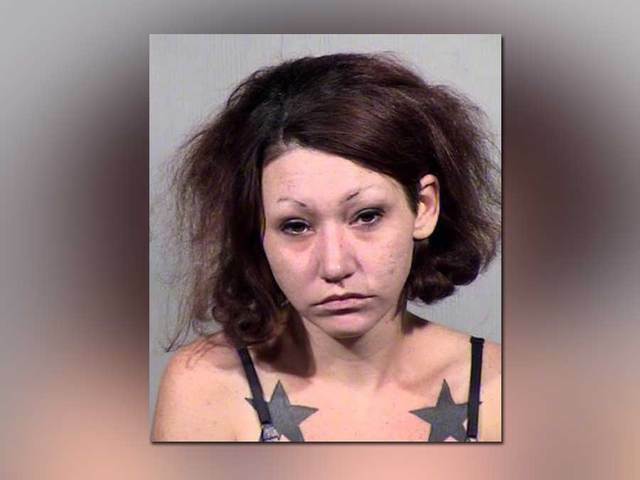 Police arrested Candelaria on Saturday in Tempe, AZ Family reports. Candelaria reportedly lives with her boyfriend and watches his three children while he’s at work. Her arrest came after the victim and her two sisters — ages 3 and 5 —told their mother about the incident, according to court documents obtained by the Phoenix New Times. Candelaria told police that the girls made the whole thing up, and that the three-year-old “lies often.” However, doctors found that bruising on the girl’s sides, legs, chest and back were consistent with claims that Candelaria held down the child. Arrested Over Plasticware!! Where’s The Public Outcry And Support For Chikesia Clemons?